Here is a band I know I haven’t heard much about lately. I think the last time I heard anything about the Dodos was when they released their third album “Time to Die” and that they had added a third band member to play the vibraphone. The album came out back on September 15th, so yeah, it’s been quite awhile since I’ve heard from the Dodos. Which makes this brand new live album all the more special. Upon first discovering they had a live album, it was pretty exciting, because the Dodos put on a hell of a live show, and it would be great to capture their intensity and give everybody the chance to hear them live. Long freaking out on his guitar, Kroeber never missing a beat on his drum set…seeing the Dodos should be high up on your list of priorities. Now when it didn’t look like things could get any better, they still did. The album is 10 full tracks long, clocking in at just under an hour of time, and every last track comes from their epic, freak-out packed sophomore album “Visiter”. The live album features all of the greats from “Visiter”, including freak-folk jam outs like “Joe’s Waltz”, “Paint the Rust”, and “Jodi”, and then a few of the more laid back tracks from the record, such as the opener “Walking”, the 2008 single “Fools”, “Ashley”, and “Winter”. If you can’t wait any longer, you should swing on over to THIS website so you can download you’re copy of the live album – you just need to give them an e-mail address. It’s that simple. If you’re still not sure, why not check out the few songs I have uploaded for you below? And if that’s not enough, you should definitely check out the Dodos while they’re on tour with the New Pornographers (they’re coming to Philadelphia on June 21st). You can check out their tour dates on their Myspace. 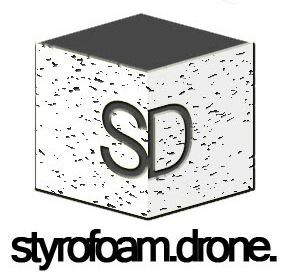 Posted on June 5, 2010 August 8, 2010 by styrofoamdronePosted in Demos, Live Stuff, ReviewsTagged folk rock, freak folk, live, pop.